On September 2, 2000, William took me on a picnic with our little sparrow, Ava. We packed up a picnic basket and went to a park about 20 minutes away. We found a perfect little secluded spot by a lake and set up our picnic. After lunch, I was laying there on the blanket looking up at the sky with a big smile on my face. He asked me why I was smiling – I told him because I was happy. He asked me why I was so happy – I told him because I was so content at that very moment. I had my sweetheart and my precious bird with me on this beautiful day… no where else would I rather be. He said, “If I make you so happy, why don’t you marry me?” I was SOOOO not expecting a proposal!!!! I was completely oblivious – had NO clue in the world. Without even giving it a second thought, I threw my arms around his neck and said, “Of course, I will marry you.” And this time it felt completely right. I knew he was the right one and I knew I was ready. A few minutes after he put the beautiful ring on my finger it started POURING down rain. We packed everything up and started back to the car. I was so happy that I didn’t even care that I was getting soaked to the bone. We were in no hurry and just took our time. As we got closer to the car the sun came out while it was still teeming down rain. In a little clearing in the woods we saw a rainbow. How perfect is THAT???? We tried to take a self-portrait of the 2 of us with the rainbow in the background, but you can’t see the rainbow. Cute picture though! This all took place during a time when I thought I was in control of everything in my life and responsible for my own destiny. I didn’t have my antenna up to receive any assurances from God at that time in my life, but there one was – bright and shining in the form of a rainbow. There would be no way for either of us to know then what the future held for us, but God knew. His pleasure burst forth in the form of a rainbow, unbeknownst to either of us. It was a perfect touch to a perfect moment, but we just tallied it up as another one of those coincidences! How sweet it is to know better and to look back at that!! Fast forward another year later almost to the day, September 1, 2001. 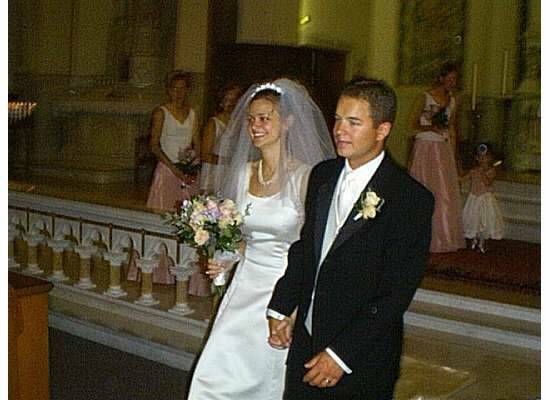 Eleven years ago today, I married the love of my life. 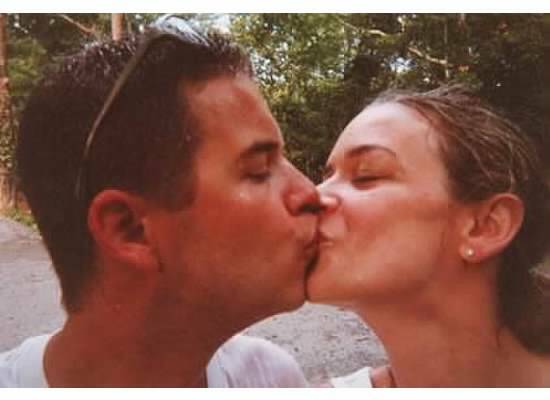 Today is our eleventh anniversary! I couldn’t have dreamt up a better husband and father for my children if I had tried, which further proves that God knew exactly what He was doing when He arranged for our paths to cross. William, you make me feel loved and appreciated every single day. Your selflessness, your compassion, your generosity, your honesty and your laughter bring joy to even the hardest of days. I. do. not. know. what. I. would. do. without. you!!!!! I LOVE YOU more than you could possibly imagine, as do your children. What lucky kids they are to have you as their Daddy. I thank God for you every day. Even though we’re not doing anything exciting and outrageous to celebrate today, simply being with you is enough. What do I gotta do to get some rest around here!!?? I love how Nora looks up at Gretta in all those pictures! What an awesome sweet story! Thank you for sharing! 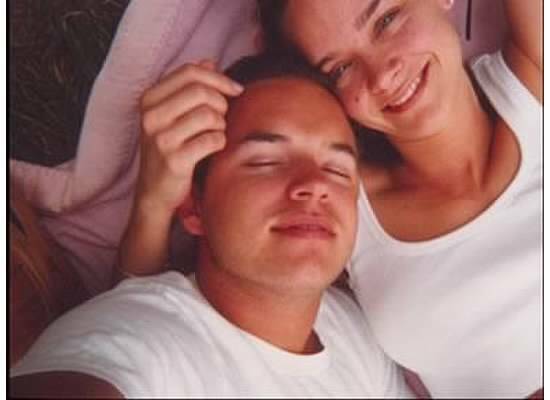 WHAT A BEAUTIFUL LOVE STORY FOR SUCH A BEAUTIFUL COUPLE. HAPPY ANNIVERSARY TO A VERY LOVING, CARING, TRUSTING IN GOD HUSBAND AND WIFE. YOU TWO MAKE A PERFECT COUPLE. I LOVE HOW HAPPY YOU LOOK IN THOSE PICTURES FROM THE PAST, AND CONTINUE TO LOOK HAPPY TOGETHER IN THE PRESENT.MAY GOD BLESS YOU WITH MANY, MANY MORE BEAUTIFUL AND HAPPY YEARS TOGETHER. YOUR FAMILY LOOKS SO MUCH LIKE BOTH OF YOU, GUESS THAT IS WHY THEY ARE ALL BEAUTIFUL CHILDREN. I LOVE THE PICTURES OF GRETA AND NORA TODAY. I CAN TELL NORA LOVES GRETA SO MUCH. IN EVERY PICTURE IT SEEMS LIKE SHE IS LOOKING AT HER BIG SISTER WITH LOVE IN HER EYES. GRETA IS SO FULL OF LOVE, OR AT LEAST THAT IS WHAT I SEE WHEN I LOOK AT HER PICTURES. ALWAYS A BIG BEAUTIFUL SMILE. SHE REALLY LOOKS SO MUCH LIKE YOU. I HOPE YOUR SPECIAL DAY WAS PERFECT WITH EACH OTHER, AND YOUR CHILDREN BY YOUR SIDE. HAVE A VERY GOOD NIGHT’S SLEEP, AND WAKE UP TO A BEAUTIFUL DAY. LOVE AND PRAYERS GO OUT TO ALL OF YOU GUYS. GOOD NIGHT AND GOD BLESS. I DO WANT TO SAY ONE MORE THING. YOU AND WILLIAM LOOKED GORGEOUS ON YOUR WEDDING DAY. LOVE ALL THE PICTURES TODAY. Happy Anniversary to the most amazing couple I know! May the two of you be blessed beyond your years as I know you will! Love you both!!! XOXO! So awesome and beautiful. I’m so glad I was able to meet more of your family last night. You all are so pleasant, warm, and kind. Happy anniversary! Happy Anniversary! How sooo blue Nora’s eyes look in the bathtub picture. It is obvious how much Nora looks up and loves her big sister. How precious! Hey we share the same wedding anniversary except my William and I were married Sept 1 2000!!!!! I got so teary eyed while reading that story….beautiful and touching. It restores my faith that true love does exist and I am the luckiest girl to have a guy that loves me, my boys, and my dog unconditionally. I had never experienced that in my life and it terrified me for so long and now I finally realize everyone should be so lucky to feel that. I thought of you and your family this weekend. Scott and I stayed in a 200-year old log cabin in the South Hills of Pittsburgh this weekend. Upstairs, on an old sewing machine, sat 3 birds, clustered. I yelped with glee upon seeing them and bolted to my suitcase to find my camera. By the time I explained the story behind my actions, he was almost in tears, so touched by your story, even my very condensed version! I will post the photos from our weekend on Facebook, and yes, the birds will be included. I wish you the happiest of anniversaries and may God continue to bless you in every way. I especially love this string of pictures… Nora’s little smile just fills my heart!! and HAPPY ANNIVERSARY to you and William! I feel the same way about things with my husband… we celebrated 20 years of marriage in May and were together for 8 before tying the proverbial knot. Our celebrations are always like yours… nothing elaborate, just spending the time together and with our kids. I can’t THINK of a better way to celebrate. Much love and happiness to you both (all)!! !